Francine Bahati is a girl from a small town in the Democratic Republic of Congo. At a young age, I was forced to flee my home country due to the civil war. I migrated to Winnipeg, Manitoba Canada December of 2012 after living in Uganda as a refugee for 10 years. Life in Uganda was not easy. Because of being a refugee, I was discriminated against , looked down upon and called all sorts of names due to the conditions my family was in but that never stopped me from dreaming. Growing up I witnessed my mother’s sense of fashion and beauty which in turn inspired me to develop a love for beauty, fashion and music. "Lipstick to me is a way of self-expressing, displaying boldness and confidence, because for many years I struggled to find confidence in myself". I recall while in Uganda my mother couldn’t afford to buy makeup items for my sisters and me. By improvising, me and my sisters would use palm oil as lipstick or body lotion and chalk as powder. Nevertheless, lipstick among other makeup products was my most favorite. 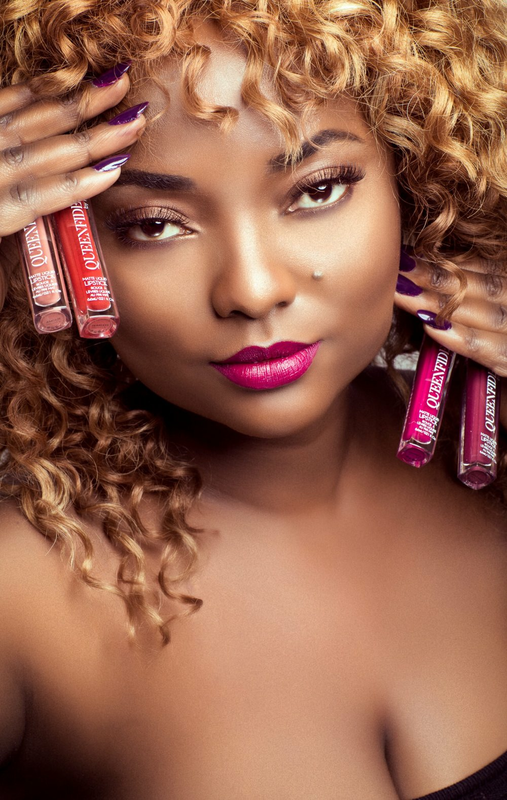 I launched Queenfidence cosmetics, starting with the five vibrant matte liquid lipstick shades collection because Lipstick to me is a way of self-expression, displaying boldness and confidence, because for many years I struggled to find confidence in myself. Growing up, I had low self-esteem, and was constantly bullied for the bad condition my family was in. Because of that, I decided to name my brand QUEENFIDENCE. I chose this name as a reminder to myself and everyone that confidence is beautiful. I want to empower and inspire everyone that beauty starts from within and can be enhanced with makeup. My dream of creating my own beauty line has become a reality, QUEENFIDENCE Cosmetics was created not only to bring a quality and affordable makeup beauty line, but to illuminate confidence. QUEENFIDENCE is self-positivity; to be and feel positive, perseverance; to pursue your dreams and to live life fearlessly. Queenfidence is a movement, a beauty line that aims to inspire and add value to anyone who will spot it in a store and instantly connect with the name QUEENFIDENCE. My goal in creating QUEENFIDENCE Cosmetics is not only to have people connect with the name but have them feel something greater than just feeling beautiful from the outside but also from the inside.